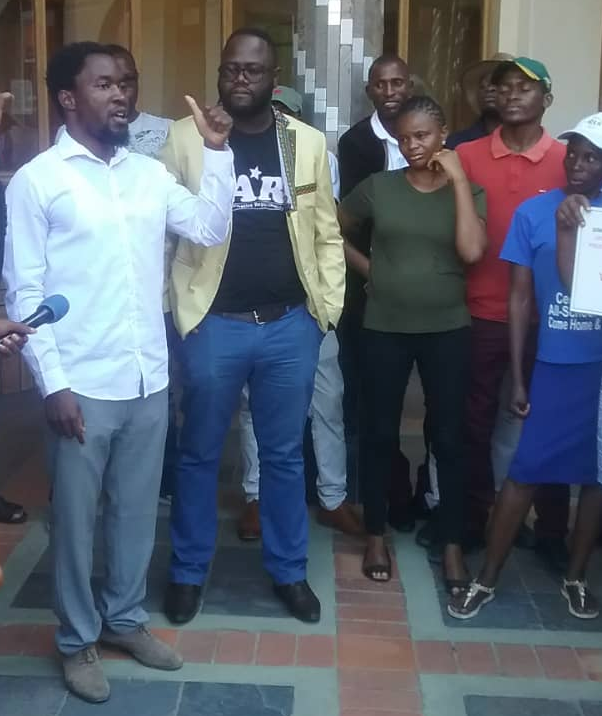 Pictured: Leading AR activist, Job Amupanda addressing a crowd outside the court. 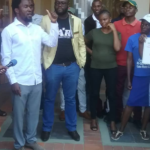 Affirmative Repositioning activist, Dimbulukeni Nauyoma, has been released on bail of N$500 on condition that he will not interfere with investigations nor hinder the Namibian Police of the Windhoek City Police when carry out municipal operations. Nauyoma was formally charged with the contravening Act 21 of the Squatters Proclamation Act of 1985.